Please help extend an important part of the event beyond the walls of Medtronic and beyond the borders of the USA. At #MedtronicDAF, with Scott Johnson and George Simmons, I helped lead some structured brainstorming. It would be easy enough to report out the results. That could, however, be seen as suggesting the views collected there are the only views on the topics that matter. We all know that ain't even close. How about sharing your thoughts? *Disclaimer: I attended as a guest of Medtronic. They paid for jet lag, oceans of caffein, a few beers, a place to stay and local transportation that made me car sick. They did not ask me to write. Nor suggest any topics if I did. They did not ask me to hold back on questions and they didn't hold back on replies to tough questions. My T1D kids are not users of their devices, we have demo-ed some, that did not seem to influence their interest in my thoughts. I try to maintain a friendly relationship with the people there. 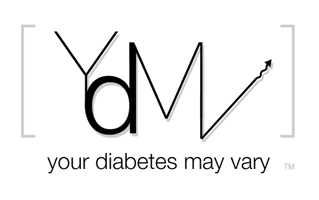 I feel their primary motivation is to serve people with diabetes through their work. This includes their fiduciary responsibility to shareholders, of which I am not one. For the new proposed guidance: Medtronic has no collaboration, editorial preview or review privilege on anything I say here. And a partridge in a pear tree. This is fantastic. I love that you made this a survey for the community. I'm looking forward to seeing the responses. You got car sick? That should not be hidden in the disclaimer! Gotta do something to make the disclaimer interesting Mark. You are welcome. It is a privilege to help bring the ideas of the community together. Thanks for taking the time and your thoughtful responses Stephen. I gotta say diabetes active users in Spanish speaking countries (me among them) were impressed by this event. We have to thank you all for being there and posting about it. There was no other way we could have imagined what was going on. We will definitely work with our Medtronics local office cuz we definitely need an event where latin american diabetes advocates could also participate.